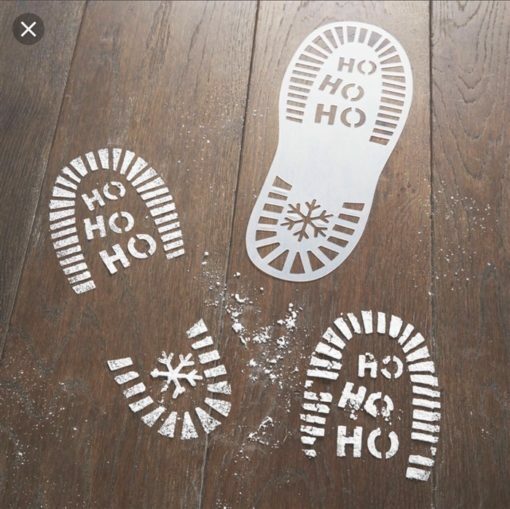 Santa never leave his snowy footprints in any of the homes he visits; Mrs Claus wouldn’t allow it! So, as many parents have asked if we can help them add a little more magic to their Christmas morning, we have asked CSI Elf to take a cast of SC’s footprint, and replicate it for you in these plastic stencils. We hope you enjoy adding SC’s footprints to your home.